With the advent of the new year, everyone is eagerly waiting for recruitment notification of SBI PO 2019. But yet now there is some quarrel among the aspirants regarding whether the notification will release or not. 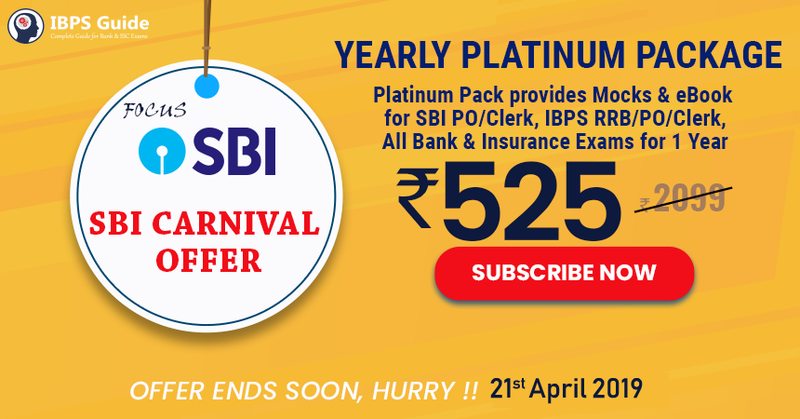 As per the experts, surely this year we will get the SBI PO 2019 notification in the month end of March. So candidates are preparing for the upcoming examination. SBI PO is quite the toughest examination compared to other bank exams. Because the pay scales for SBI PO is somewhat higher than the PSU’s PO. So, aspirants, you should plan well before preparing for the examination. To start preparation, first, you should collect the good materials based on the recent updation and quality of questions. For SBI PO the Reasoning section plays a vital role. Concentrate particularly on the reasoning section will boost up your score both in individual and overall. 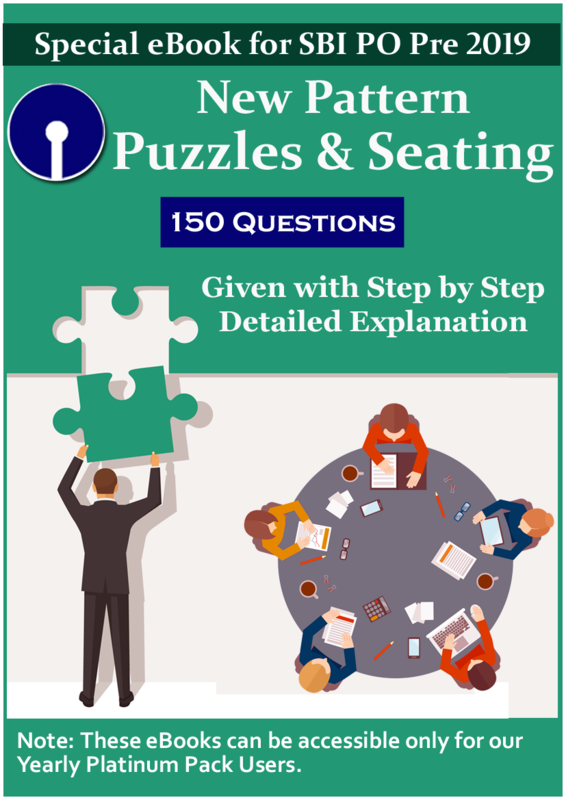 Here for your guidance, our IBPSGuide team will provide you with the E-Book on reasoning section on Puzzles & Seating arrangements based on the latest syllabus & exam pattern. So candidates should update well as per the recent trends. This e-book comprises of 150 questions. This was prepared by our experts. There is some simple logic behind every puzzle & seating arrangements. Especially for that, this will guide you for the entire preparation. So that it will be very useful for upcoming SBI PO 2019. Start your preparation with this and crack your SBI PO in a successful manner.